Twitter’s newest outing in short, succinct communication is Vine, a service that allows users to create and share six-second clips of video — and it’s catching on fast. 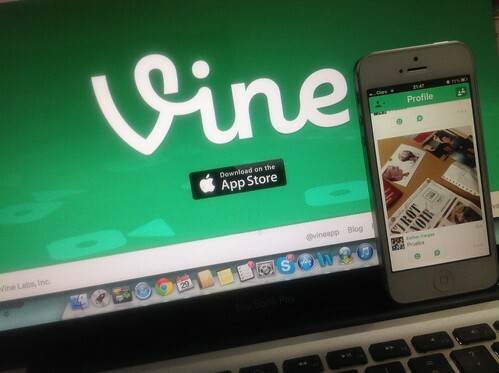 Mary Meeker, a venture capitalist, stated in her 2013 trend report the number of iPhone owners using Vine quadrupled between January and April of 2013. Colleges have utilized social media more quickly than many other organizations, and Vine should be no different when it comes it reaching out to students and alumni. Here are some ways colleges are, or should be, utilizing this up-and-coming form of visual communication. The “Second Screen” is a term that refers to the practice of mobile device users staying connected to social media services or apps while at an event or game that is already utilizing one main screen to display info for its attendees. This behavior has grown in popularity dramatically the last few years, and Business Insider reports statistics show 88 percent of Americans utilize some form of companion device, or second screen, when watching TV. Higher education should embrace the idea that Vine can capture awe-inspiring moments and spread them around the world instantly. Maybe it’s a 60-yard run for a touchdown, excited graduates of your school’s veterinary assistant programs, or a rousing pregame chant by students in a parking lot that makes for the perfect Vine material. Encourage and promote hashtags for every event mobile devices are appearing at to help build a sense of community, even for people who aren’t physically at the event. Social media services such as Facebook have digital invites, but what about creating a short video inviting people to an event? Even something as simple as a student or mascot who is excited about attending a sporting event makes a great short clip, and it’s still a novel-enough invitation form to catch attention. To really get an event noticed, colleges could run a promotion using a hashtag for the event, and offer a prize to the person who gets the most shares or hits for their tagged Vine. Be forewarned — Vine users can be pretty strange. Vine is an excellent way to show off your campus architecture and facilities, as well as produce one-question interviews with faculty and students. Asking alumni, students, and teachers why they love their school, and posting it on Vine, is effective in showing off genuine sentiment for your school’s brand. Additionally, Vine has the potential to bring alumni back to a campus. Use it to create video of memorable and unique locations on campus, and share it with the world. Your school’s campus tells a story that bridges generations, and Vine can help you tell that story to the world. Colleges and students are no strangers to fundraisers. While “thank you” cards for charitable donations may have been the standard just a few years ago, the potential for Vine to really reach those who donate is tremendous. Consider the possibility of bringing together all of the students currently benefiting from an alumni-sponsored scholarship program and giving them each six seconds of Vine footage to thank the people who made it possible. Giving individuals an opportunity to personalize a thank you to a charitable organization or alumnus creates a bridge between the philanthropist and the recipient that can be personal, or even shared across Twitter or Facebook to show others the impact such programs can have. Vine currently has 13 million users — that’s a lot of potential students and supporters waiting to be reached. Brady is a writer from New York who specializes in Internet and social media marketing.